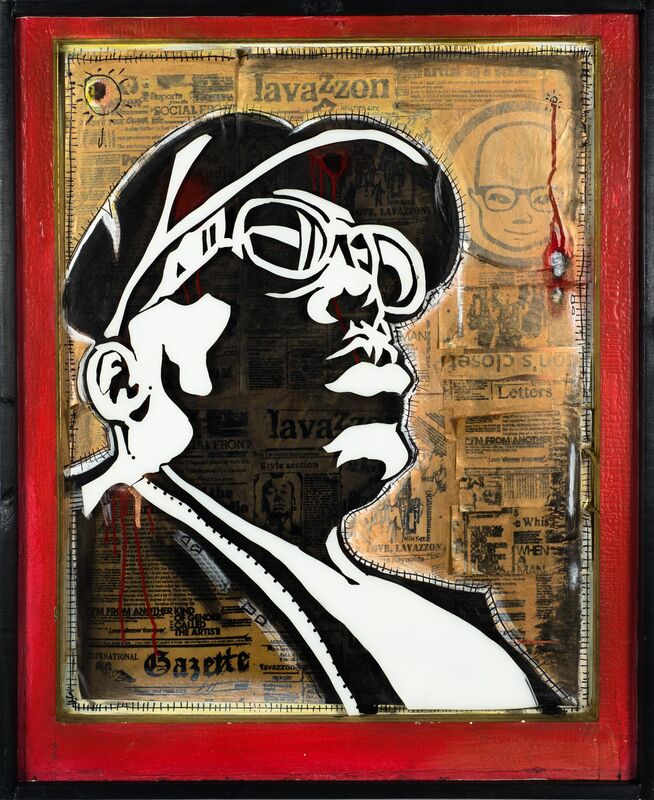 Acrylic, spray-paint, silkscreen, and vintage newsprint over wood, finished in resin. 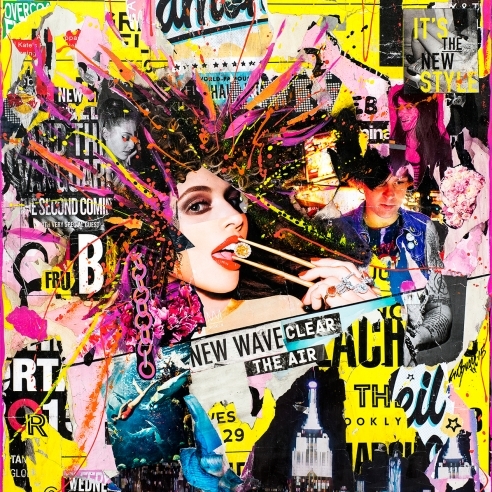 Detour Gallery is pleased to announce CLASH: An Urban Collection an exhibition of works by such artists as DAIN, BNS, Cleon Peterson, and Stikki Peaches among others. 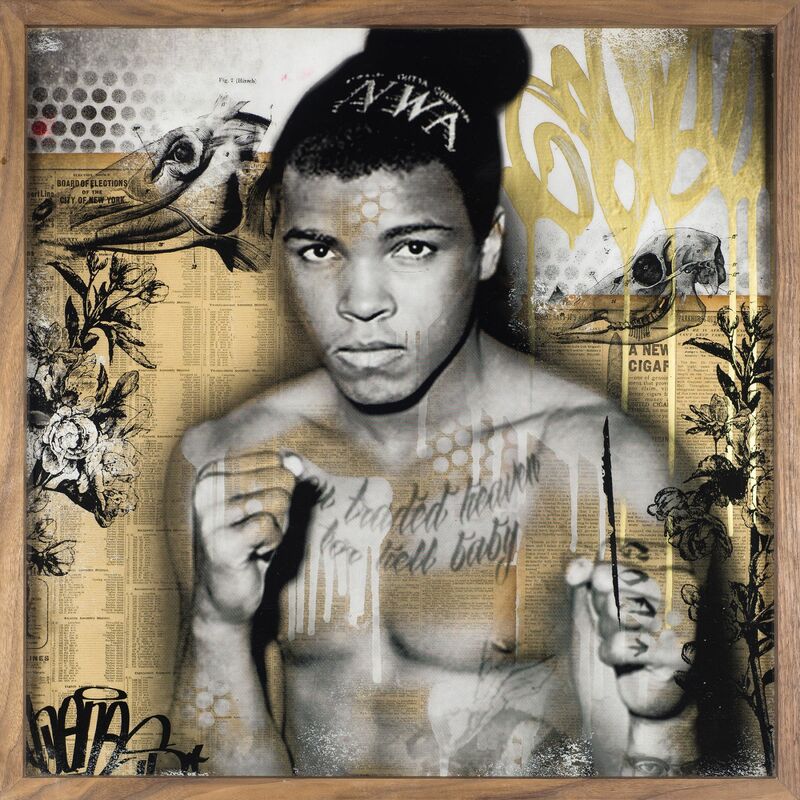 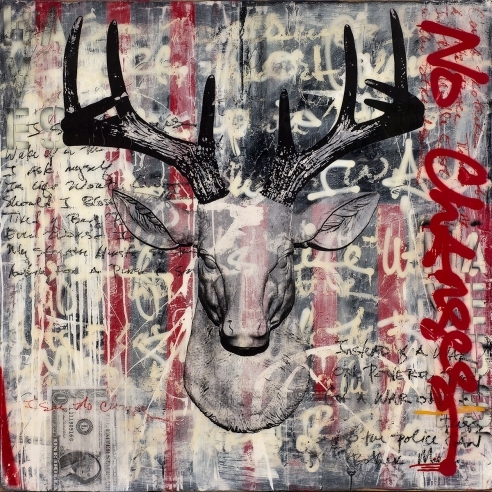 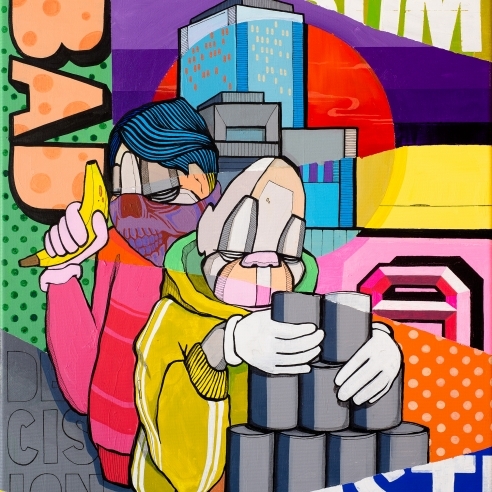 CLASH pushes the boundaries of sensibility while maintaining its order in the commonality that all of the works root themselves firmly in the grit of the urban art spirit. 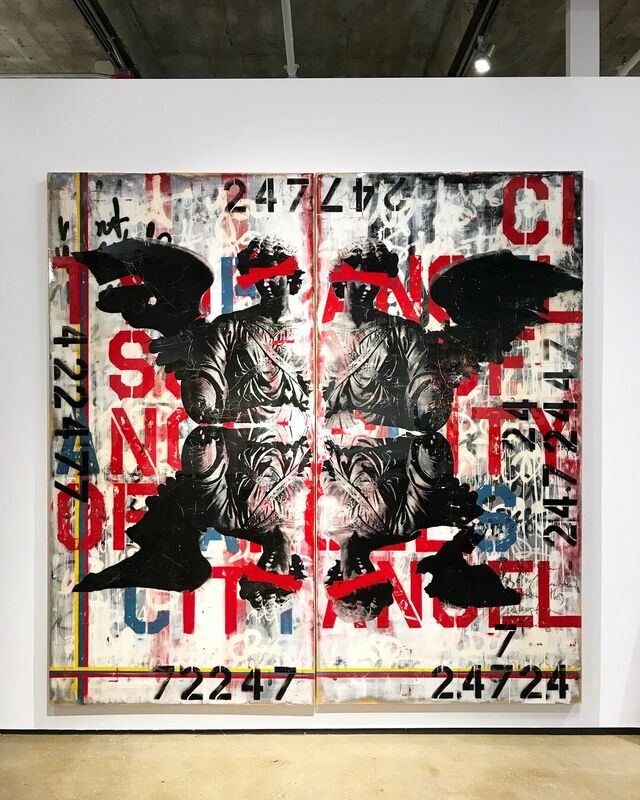 The exhibit places a combination of both emerging and established urban artists together in the spirit of a happy accident. 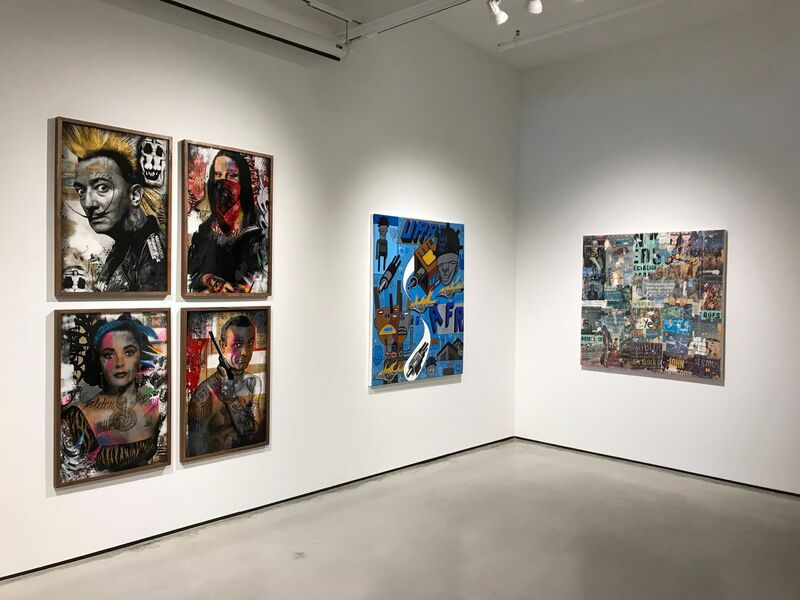 Place the best representation of works conceived by artists who hail from such diverse sections of the world as Brooklyn and LA to Oslo and Germany and see what happens. 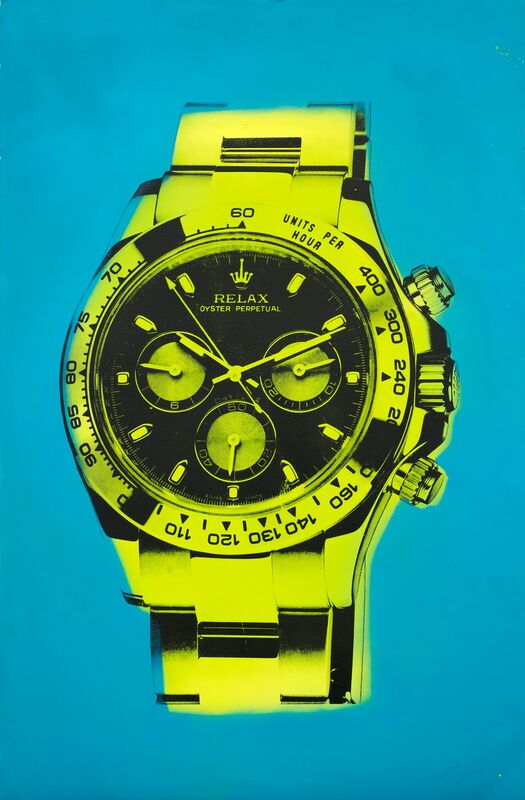 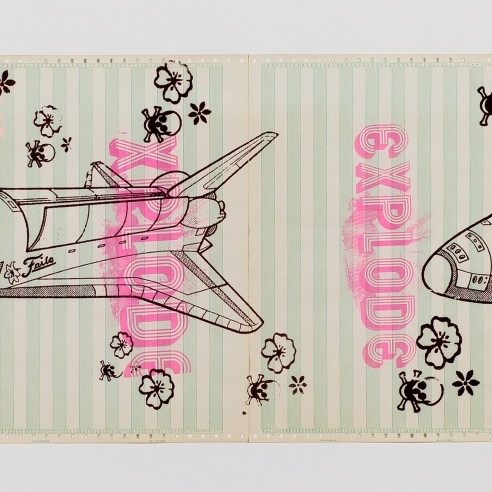 Their work shouts loud colors, iconic images, and bold lines. 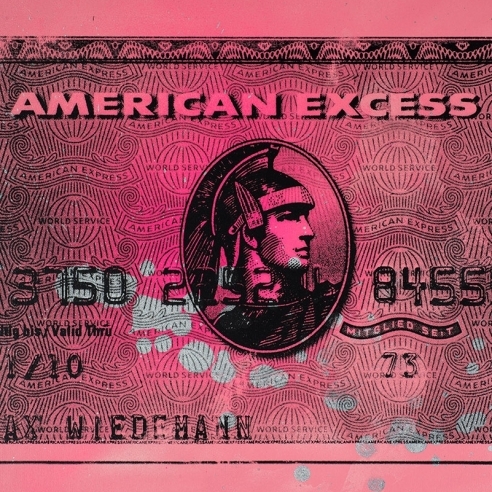 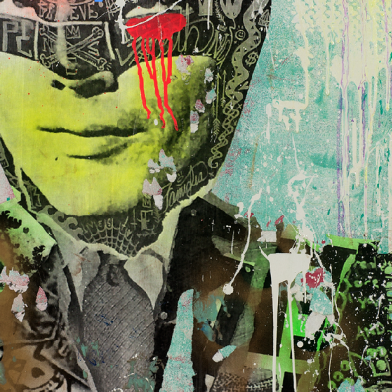 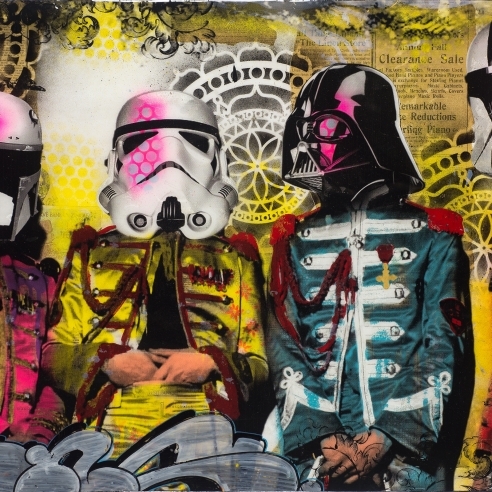 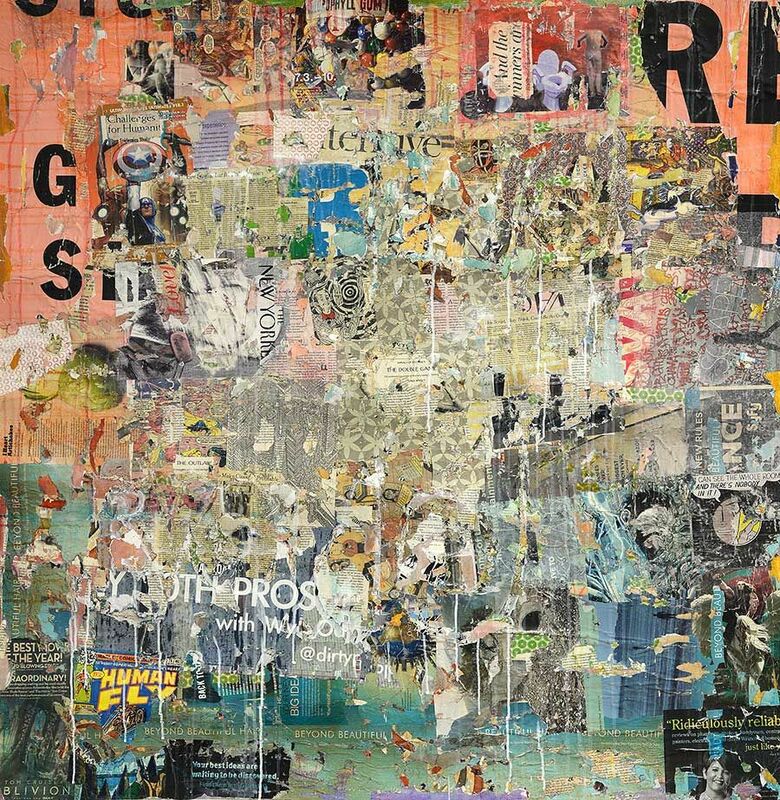 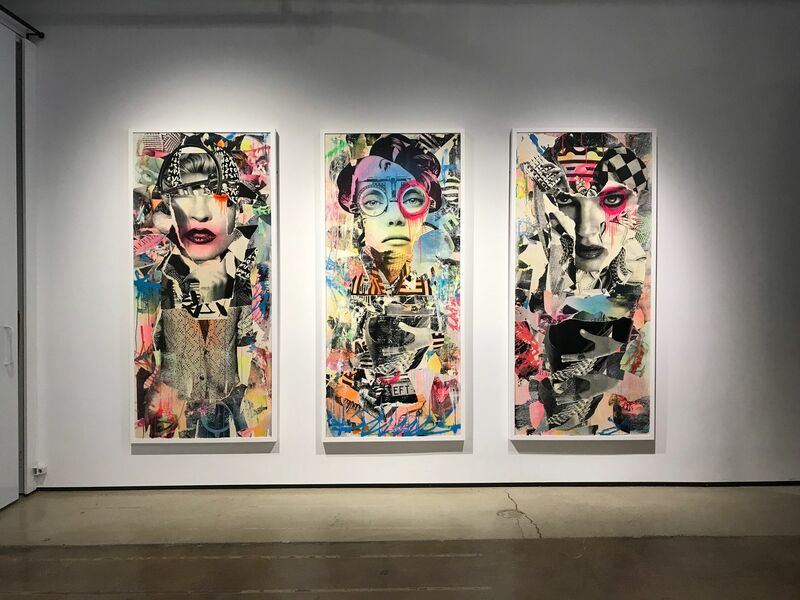 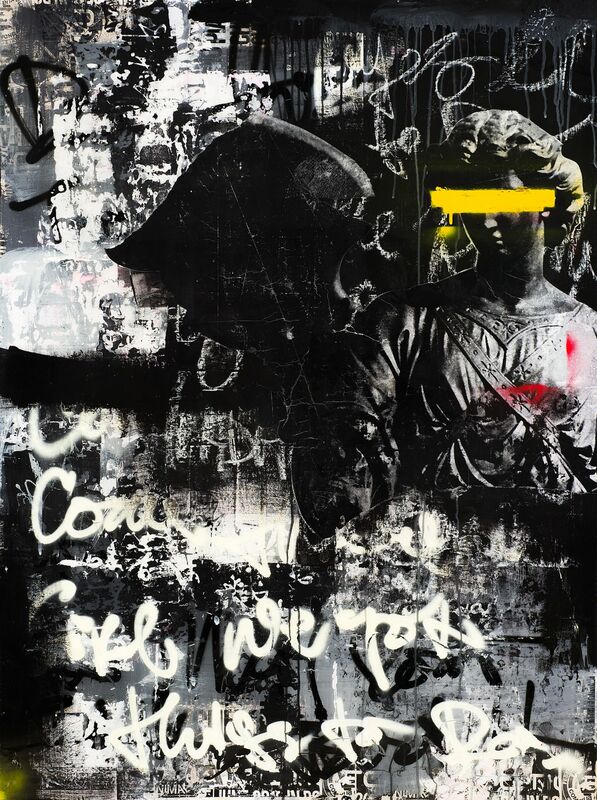 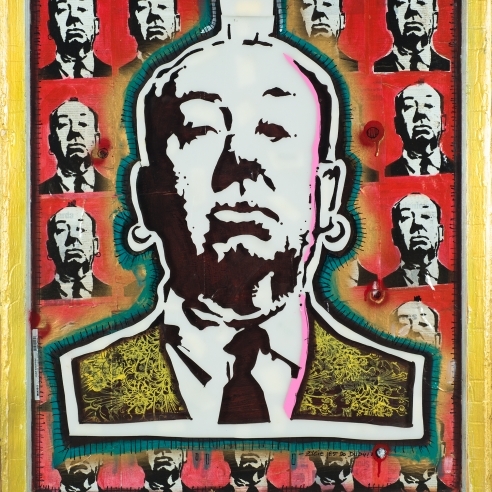 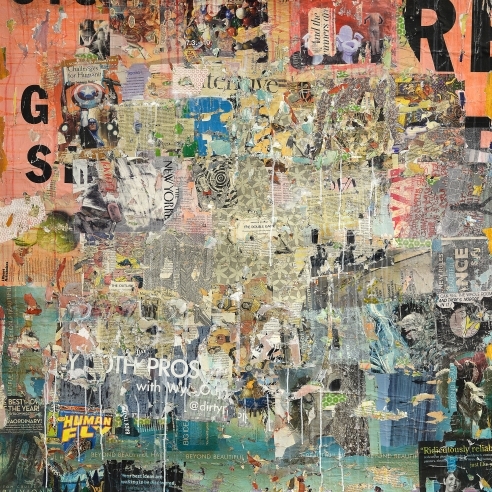 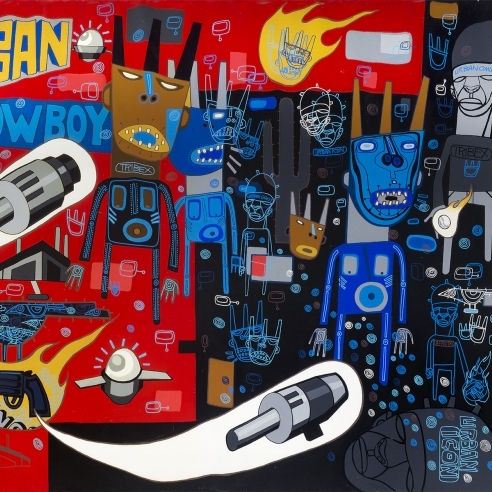 The artwork emulates an urban city landscape through its multifaceted layers of expression consisting of layers of spray paint, photography, ink, silkscreen acrylic and pop culture characters. 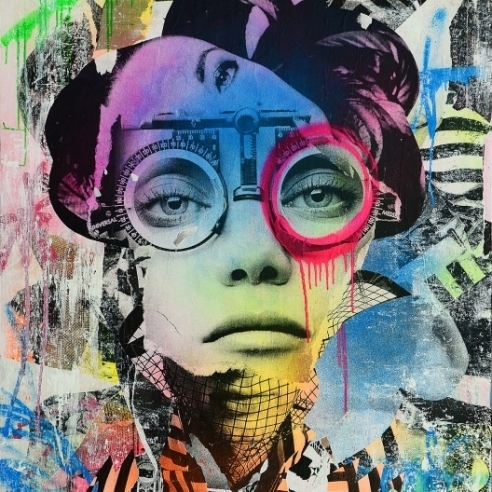 From DAIN’s homage to great actresses of the forties and fifties with his trademark, one eye accentuated with spray paint. 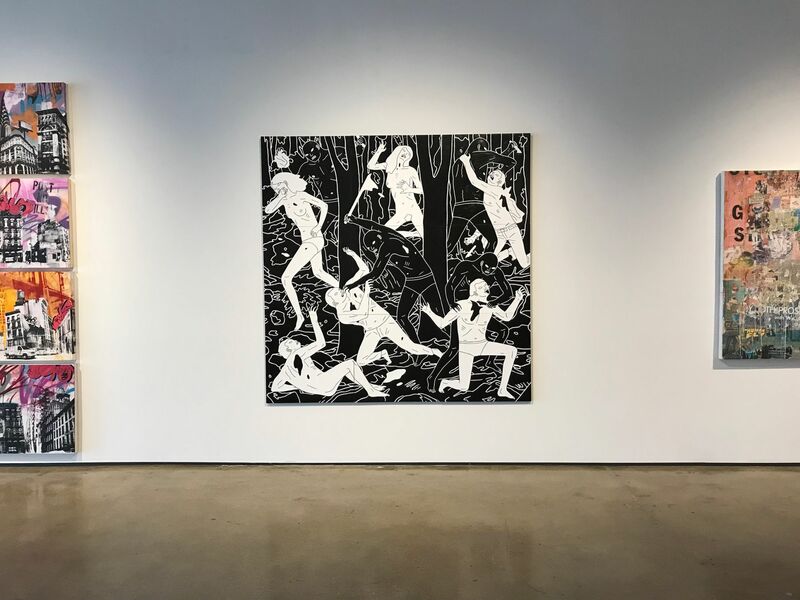 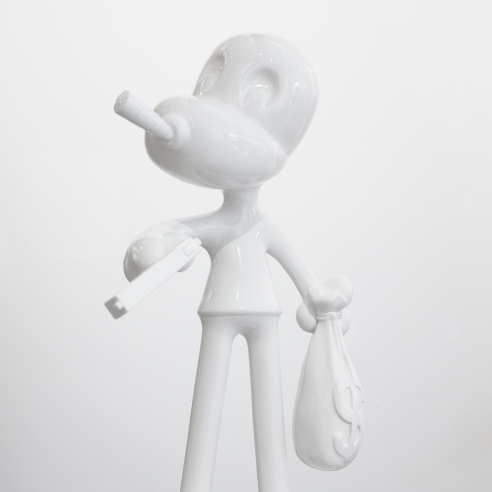 To early BNS showing his direct from streets of the city graffiti influence to the dry humor of his more recent works showing alongside Cleon Peterson's black and white acrylic on panel push the viewer to have to make a decision. 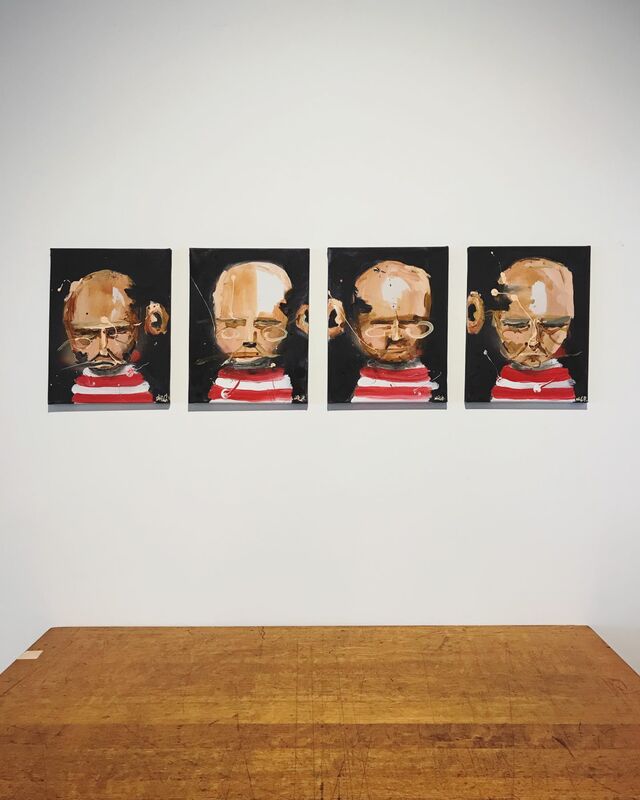 Where do I look first? 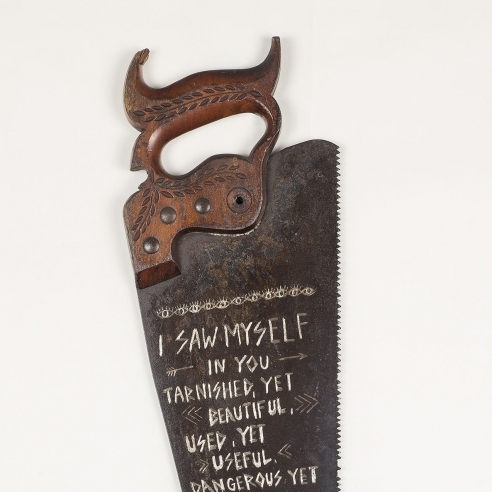 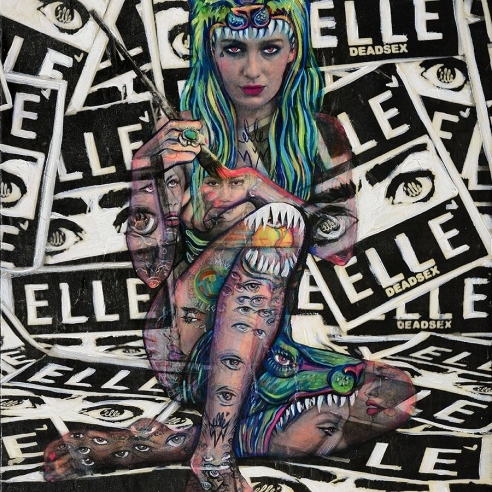 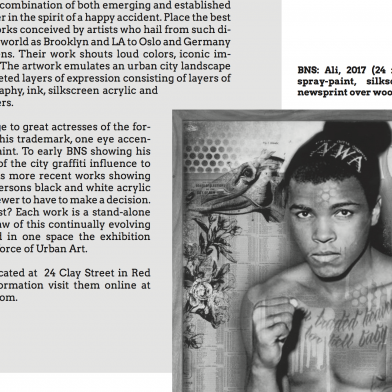 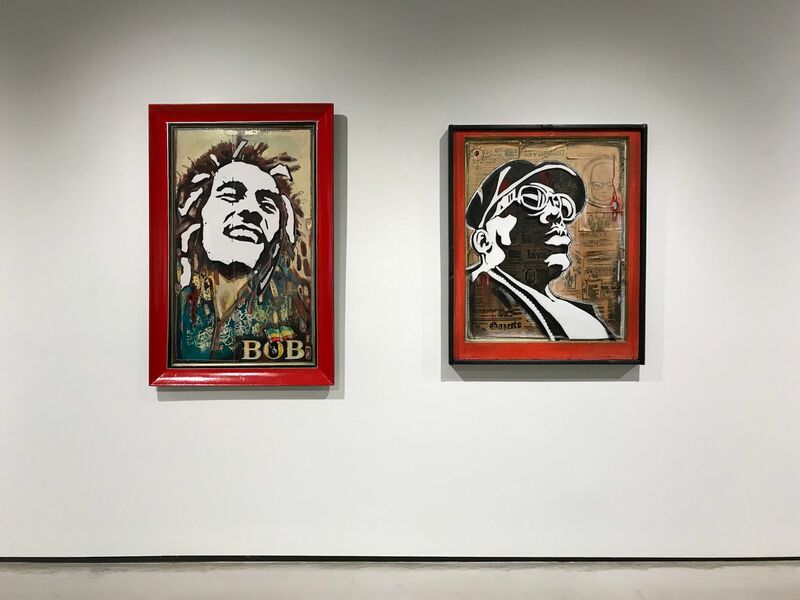 Each work is a stand-alone testament to the draw of this continually evolving art form, assembled in one space the exhibition highlights the pure force of Urban Art.